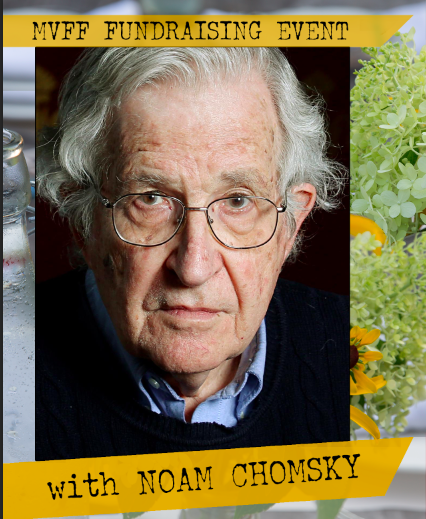 Join us for an intimate cocktail hour with political activist Noam Chomsky before the 7:30 PM screening of REQUIEM FOR THE AMERICAN DREAM. $150 includes wine provided by Vintage MV, appetizers by Jan Buhrman of Kitchen Porch, and reserved seating at the film. $150 includes wine provided by Vintage MV, appetizers by Jan Buhrman of Kitchen Porch, and reserved seating at the film.